The Northmoor Watchcap by Luise O’Neill is a simple hat pattern that is guaranteed to keep you warm. It is knit in a 2 x 2 rib , making it very stretchy and will fit a large range of sizes. 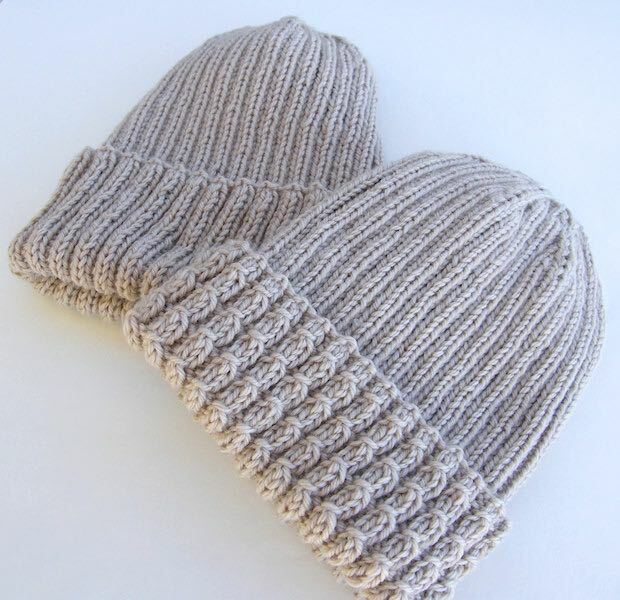 Choose either a plain ribbed brim or a double-sided cable fold-over brim for added interest. Having the cable ribbing double-sided gives the wearer the option of not folding the brim over and wearing this hat with a touch of ‘slouch’. The Northmoor Watchcap is a quick knit that will need approximately 230m of an aran-weight yarn, and would look equally as good in a plain or variegated colourway. To see what others have made from this pattern, please visit the Northmoor Watchcaps pattern page on Ravelry. Browse our other p/hop knitting patterns here and our p/hop crochet patterns here.